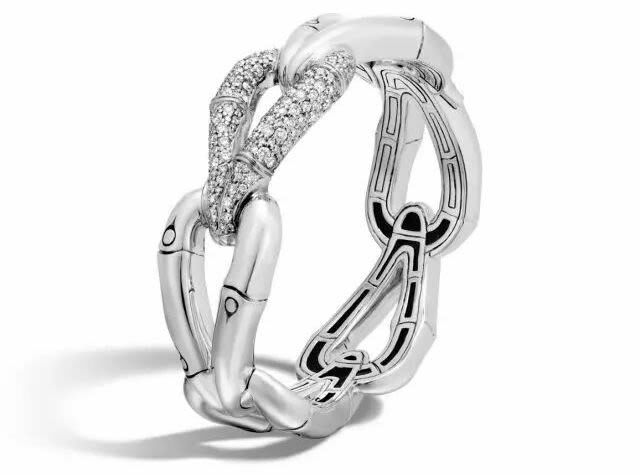 Take up to 65% off retail prices on women's and men's luxury jewelry at this John Hardy sample sale in New York! For women you can expect 18K gold, gold and Sterling silver, plus Sterling silver with gemstones and diamond pavé, while for men there's a selection of Sterling silver and leather. Credit card only. Personal use only, no resale - quantities may be limited. All sales final. No strollers or children under 12. Since last day is Tomorrow, any further reductions or still at 65%? Any Intel on what are the price reductions today? Thank you! My husband just left the sale . 70% and 65% off . 70% on most pieces . It was not packed at all around 3.30 . Plenty of pieces left .